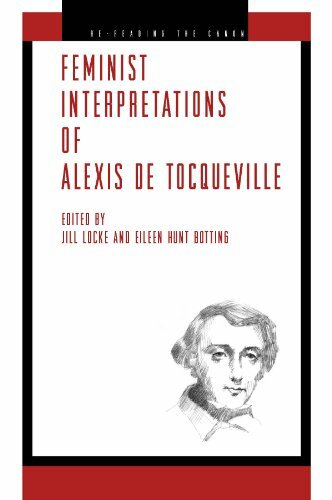 This book moves beyond traditional readings of Alexis de Tocqueville (18051859) and his relevance to contemporary democracy by emphasizing the relationship of his life and work to modern feminist thought. 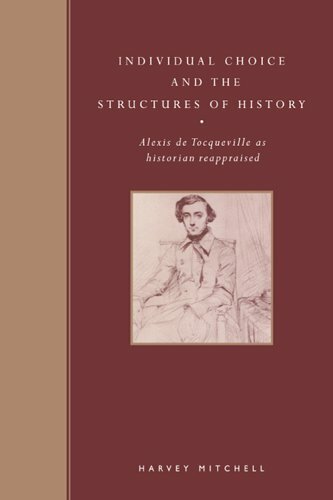 Within the resurgence of political interest in Tocqueville during the past two decades, especially in the United States, there has been significant scholarly attention to the place of gender, race, and colonialism in his work. This is the first edited volume to gather together a range of this creative scholarship. It reveals a tidal shift in the reception history of Tocqueville as a result of his serious engagement by feminist, gender, postcolonial, and critical race theorists. 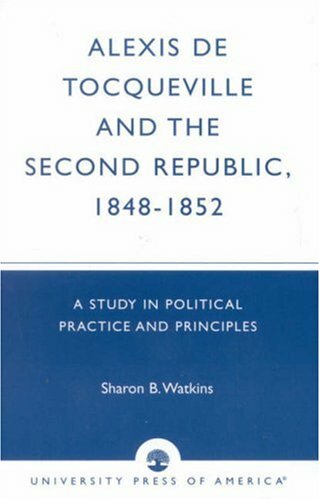 The volume highlights the expressly normative nature of Tocqueville's project, thus providing an overdue counterweight to the conventional understanding of Tocquevillean America as an actual place in time and history. 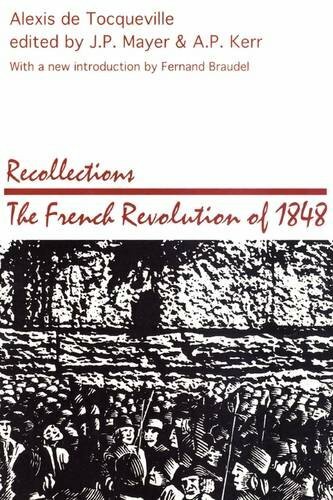 By reading Tocqueville alongside the writings of early women's rights activists, ethnologists, critical race theorists, contemporary feminists, neoconservatives, and his French contemporaries, among others, this book produces a variety of Tocquevilles that unsettles the hegemonic view of his work. 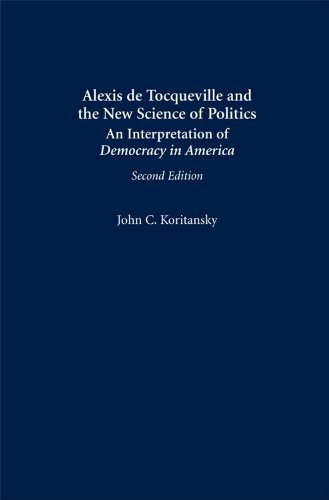 Seen as a philosophical source and a political authority for modern democracies since the publication of the twin volumes of Democracy in America (1835/1840), Tocqueville emerges from this collection as a vital interlocutor for democratic theorists confronting the power relations generated by intersections of gender, sexual, racial, class, ethnic, national, and colonial identities. I read "Democracy in America" when I was in college and wrote a paper looking at how the issues Tocqueville discussed in the 1830s played out in 1980s America.My conclusion was that many of his insights still had amazing relevance and yet his over-arching analysis of how America functioned as a democracy was pretty weak.He didn't understand the Presidency and Congress and completely neglected the role of political parties.However, his thoughts about American character; the striving for material success, the triumph of mediocrity, our refreshing practicality, the tyranny of majority and most amazingly how America and Russia would one day become polar opposite but competing superpowers were still all wonderfully relevant to modern American life. Hugh Brogan's book similarly points out the strength and weaknesses of Tocqueville's work so I feel vindicated in my youthful analysis. As a biographer, he is terrific.He has studied Tocqueville for much of his 40 years as a historian but waited to complete this work until he could access much of the Tocqueville archives that had been off-limits until recently.I felt he got inside Tocqueville, revealing his character, his times and feelings with amazing power.He also gave a sense of his many close relationships. I knew how he felt towards his tutor, his parents, best friends and wife.Sadly, he also gives a harrowing description of Tocqueville's last years of illness and the man's relationship to his sickness which was both complex and naive. I thought he was less successful in helping me understand Tocqueville's intellectual process.He talks about him being insightful but doesn't detail how those insights came about.I also think he could have put Tocqueville's work into intellectual historical context; how did he compare to other great thinkers of his era? What accounts for his ongoing influence when many others have faded away, have become important as indicative of their age or how they changed the way people thought about issues but aren't worth consulting for how we should think about our world today.That quality is what make Tocqueville so special. I have one other quibble.There is no discussion of why he and his wife didn't have children.Was it because of infertility?Choice?How did they feel about this? I have to believe that during this period and in the aristocratic class, not having children would be a big deal. 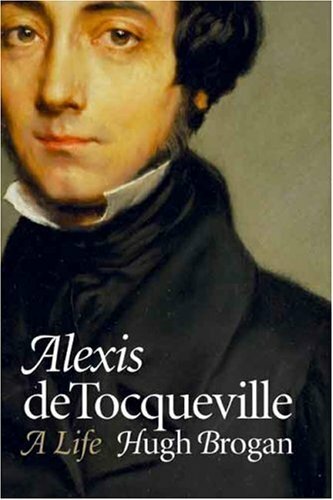 This very enjoyable book is an excellent study of the very interesting French writer and politician Alexis de Tocqueville.Known best for his analysis of contemporary America, de Tocqueville is a notable figure in the history of political thought and a key source for the history of 19th century America.Brogan's Tocqueville is an essentially conservative figure.The descendent of relatively liberal aristocrats under the Ancien Regime, a number of whom were executed during the Terror, Tocqueville grew up in a legitimist household that detested the Bonapartist state and feared the radicalism that led to the Terror.Tocqueville, however, was too intelligent and preceptive to be a dogmatic Throne and Altar conservative.Following his famous trip to the USA in the early 1830s, he published Democracy in America, a case study in how a liberal society dedicated to political equality, property rights, and respect for law could produce lasting stability.Brogan points out well that Democracy in America, while about American democracy, was inspired by concerns about the role of democracy in France.At the same time, while Democracy affirmed a liberal vision, Brogan is careful to point out that it was a somewhat conservative version of liberalism and that Tocqueville did not really understand important aspects of American democracy.He didn't really understand the role of Congress and appears to have been completely clueless about the crucial role of the party system in providing stability. 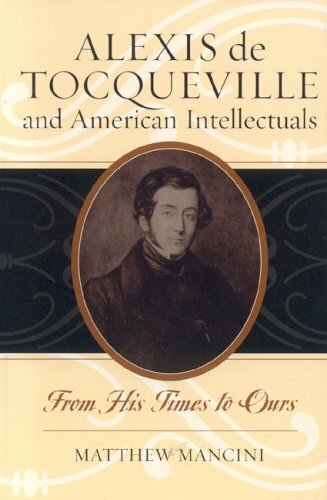 Tocqueville's failure to understand crucial aspects of the American democratic system would prove to be hindrance in Tocqueville's political career.Brogan devotes much of the book to a thoughtful description of Tocqueville the politician.More than anything else, his political career shows his essential conservatism.At times, his fear of unrest led him to support distinctly illiberal policies.Like many of his contemporaries, Tocqueville doesn't seem to understand the changes being brought about by the industrialization of Europe and to his last days, he had a fear of urban unrest and the nascent working class. Brogan shows very well that his last great work, the very interesting Ancien Regime and the French Revolution, should be interpreted in good measure as a critique of the Second Empire.Tocqueville's contemporary preoccupations clearly influenced the themes of his last major work. Tocqueville is often compared with Montesquieu and this is quite apt.Its clear from Brogan's account that Tocqueville's version of liberalism and democracy was one in the tradition of classical 18th century republicanism.He would definitely have preferred a society with democratic elements but also with institutions that allowed a powerful voice for a principled elite.This vision, shared by people like John Adams and even James Madison in his early constitutional proposals, essentially evaporated in the early years of the American democracy.Tocqueville was pursuing something that had really become anachronistic in his own time. Brogan writes affectionately but objectively about Tocqueville.This book is written very well with a nice combination of the primary narrative and enough background information to be informative but not over power the narrative. He seems the unlikeliest person to write an incisive study of American democracy: a rather spoiled son of a French aristocrat of the ancien regime, and one who suffered from a sense of futility in his own life.But the amazing truth is the Alexis de Tocqueville was exactly the best qualified man to do exactly that.Scholarly, intelligent, a precise writer, de Tocqueville was the one to write an immortal study of American life that would become in time a classic. Best of all, he wrote his work not in his study, but after an intense journey through America itself in the early 1830s. Hugh Brogan's biography is an excellent study of this young author, and probably the very best modern biography.He uses de Tocquevilles' letters and other contemporary writings to illuminate the life and thought of the young aristocrat.And aristocrat he was, his father having stoutly stood by the French crown through its many vicissitudes (and nearly executed by the Jacobins for this).Young Alexis himself clung to the aristocracy until the turbulent days of the July Monarchy, when the Bourbons were unseated by the Orleanists.After this, the young writer lost much of his loyalty to the crown. Brogan's book is well written, and covers the political scene in France during de Tocqueville's time quite thoroughly.It is simply a book not to be missed about the world of this very talented young man, who proved to be so influential in studies about America and democracy in general. Hugh Brogan brings to light on of the most careful and subtle minds ever to ponder the origin and meanings of democracy in American history, the fall of the Ancien Regime, and the the basis for much of what passes for modern political thought. One of my favorite all-time biographies!! 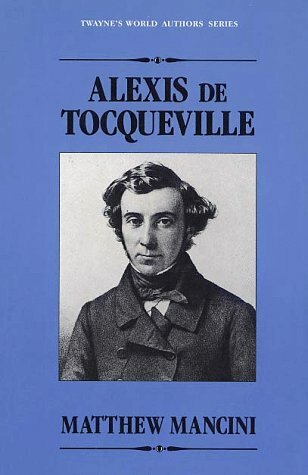 Alexis De Tocqueville was simply of one of the great social scientists writing about America and Democracy.From reading the book I deduced that Tocqueville was a social scientist before Marx!He compared European culture and government with the fledgling culture and democracy he observed in America.He was very much impressed with what he saw taking place in America in the 1830's and hoped it would spread to Europe.At first he believed that America's prosperity was simply due to geography and its distance from powerful neighbors, he abandoned this idea after his visit to America.He came to realize that the West was not being peopled "by new European immigrants to America, but by Americans who he believed had little adversity to taking risks. "Tocqueville found that Americans were the most broadly educated and politically advanced people in the world and one of the reasons for the success of our form of government.He also foretold America's industrial preeminence and strength through the unfettered spread of ideas and human industry. 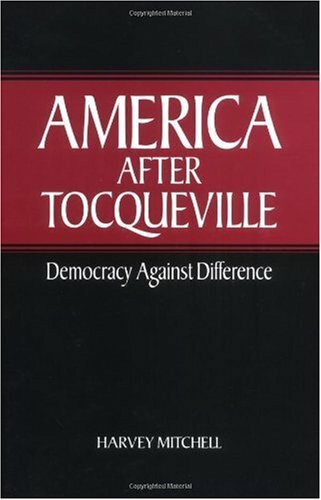 Tocqueville also saw the insidious damage that the institution of slavery was causing the country and predicted some 30 years before the Civil War that slavery would probable cause the states to fragment from the union.He also predicted the emergence of stronger states rights over the power of the federal government.He held fast to his belief that the greatest danger to democracy was the trend toward the concentration of power by the federal government.He predicted wrongly that the union would probably break up into two or three countries because of regional interests and differences.This idea is the only one about America that he gets wrong.Despite some of his misgivings, Tocqueville, saw that democracy is an "inescapable development" of the modern world.The arguments in the "Federalist Papers" were greater then most people realized.He saw a social revolution coming that continues throughout the world today. Tocqueville realizes at the very beginning of the "industrial revolution" how industry, centralization, and democracy strengthened each other and moved forward together.I am convinced that Tocqueville is still the preeminent observer of America but is also the father of social science.A must read for anyone interested in American history, political philosophy or the social sciences. Alexis de Tocqueville and Gustave de Beaumont's travels in America in 1831-32 have recently become the subject of renewed interest, as a C-SPAN special program has retraced the Frenchmen's journey by broadcasting each week from a different city along the route. Now the Tocqueville rediscovery continues with the publication of this unique guidebook. 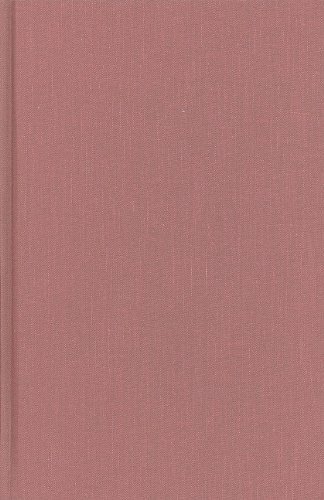 Comprised of fifty-five brief chapters covering each of the places Tocqueville visited, the book allows the reader to hear Tocqueville's words while following in his footsteps. Each chapter includes a brief description of the city or town, an excerpt from what Tocqueville wrote about it, what he and Beaumont did there, and what sights can still be seen today. Also included are information on population and major industries, telephone numbers and web addresses for local historical societies and visitors' bureaus, and comparisons of the town as it is today with the way it was in Tocqueville's time. Replete with colorful anecdotes and fascinating detail and supplemented by one hundred illustrations--many of them Beaumont's original sketches--the book offers a unique blend of past and present, of practical tourist tips and thought-provoking historical insights. The chapter on Newport, Rhode Island, for example, begins with the story of Tocqueville and Beaumont's arrival from Europe, half-starved and thirsty after a thirty-seven-day ocean voyage on which the ship's captain had badly mismanaged rations. (The inn where the apologetic captain treated them to dinner is still standing.) Among the Frenchmen's first impressions: Americans were "entirely commercial"--a conclusion based on the small town's extraordinary number of banks (five by Beaumont's count, among them the Citizens Bank, still open today). Newport, we learn, is also home to America's first synagogue, an enduring symbol of Rhode Island's unique beginning as a place of religious tolerance, and the nation's oldest library. Also explained is the origin of the pineapple as a symbol of hospitality (Newport sailors set them outside their front door to show their neighbors they had returned from the Indies and had fruit to share). The entry concludes with directions, suggestions on where to stay, and tips on tours by foot, car, or boat. An invaluable guide to a journey of national self-discovery, In the Footsteps of Tocqueville is the perfect companion for armchair traveler and tourist alike. "The Frenchmen relished the town's natural beauty. Ossining's views of the Hudson are spectacular and Beaumont captured them in his sketch book. (For a panorama of the river, go to Louis Engle Park at the foot of Sing Sing on Westerly Road.) At 7 p.m. each evening the duo went swimming in the river. Later, they socialized with the locals. (Beaumont complained that he heard a plethora of painful musical recitals by women in town.) But the people of Ossining were impressed with the two young men. The Westchester Herald described them as 'gentlemen of engaging manners, of first rate talents.' The house where they boarded still stands (34 State Street). Now a wood-working company, the house has gained additions and lost levels since 1831. It is made of Sing Sing marble, which is actually a pale limestone that was quarried by prison inmates... "